All ages, types and ethnicities are encouraged to attend an open casting call for the Netflix TV series “13 Reasons Why” from 11 a.m. to 3 p.m. on Sunday, June 4. The casting call will take place at USA World Classics Museum at 1525 Sonoma St. in Vallejo. Based on the 2007 best-selling novel by Jay Asher, “13 Reasons Why” tells the story of Hannah Baker (Katherine Langford) through a series of pre-recorded tapes she made before her suicide. 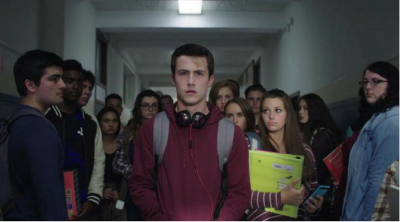 These tapes are shared with her close friend Clay Jensen (Dylan Minnette) as he tries to piece together why it happened. Glorioso Casting is seeking actors, extras and stand-ins for SAG & non-union paid positions on the series, which will soon resume filming in and around the Vallejo, Sebastopol and San Rafael areas. Specifically sought by the casting team are ages 18 – 26, particularly for the roles of high school students, baseball players, track and field athletes, cheerleaders, boxers, parents, teachers and coffee shop patrons. photos will be taken of you at the call, please dress casual and come as you usually look (males that may portray high school students – come clean shaven). Bring water and snacks in case of a long wait. Those unable to attend should register for free at MyCastingFile.com. If you’ve already registered on mycastingfile.com, you do not need to attend the open call.